April | 2014 | Sonic Smash-Music! MondoTunes appoints Warren Huart as Head of A&R and Artist Development. MondoTunes announced today that it has appointed Multi-Platinum Producer Warren Huart to its new position of Head of A&R and Artist Development. 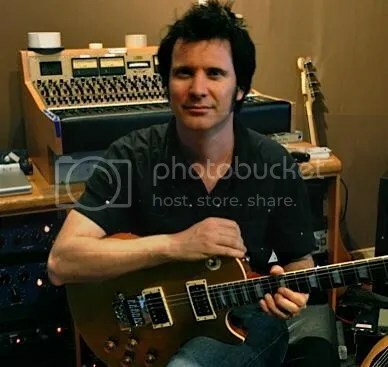 Mr. Huart, who has worked with some of the top artists in the world, including Aerosmith, The Fray, James Blunt, Daniel Powter, Kris Allen and many more, will be taking an active role in helping to nurture the careers of hand-picked artists from MondoTunes’ ever-growing list of extremely talented artists worldwide. Over the past few months, MondoTunes has been sifting through the thousands of existing artists in their distribution database, as well as attempting to discover new acts via vehicles such as songwriting contests in order to hand-pick the best of the best and play an active role in helping to advance their career and get them to the next level. 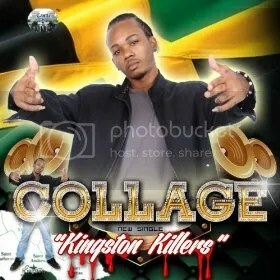 The singer, rapper and songwriter from Jamaica known as Collage has released his latest single, “Kingston Killers.” The track is the most significant official single from Collage to date. It has been released on the Castle Productions music label. Positively and proudly nationalist in its themes, energetic and powerful in its rhythm and groove, “Kingston Killers” showcases Collage as one of the Caribbean’s most creative and hardworking rappers. Collage cites as main artistic influences Lil’ Wayne, as well as fellow Jamaican musician, Vybz Kartel. “I admire Vybz Kartel for his creative style of writing,” he writes. Not unlike Kartel, Collage spends an enormous amount of time penning rap songs with cutting, thoughtful lyrics. “Kingston Killers,” in particular, is a song with much of Collage’s heart in its themes and overall meaning. Collage has been writing, performing and competing in rap since the 9th grade. His first moniker was Casino, which he changed to Collage upon signing with the Castle Productions music label in 2012, with which company he has been working ever since. His official debut studio LP record album is in the works. “Kingston Killers” by Collage is available online worldwide. 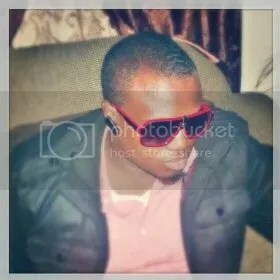 The rapper and hip-hop producer known as Izzy Cash has released his latest single, “Wake Me Up.” “Wake Me Up” is Izzy Cash’s most significant worldwide release since his latest mixtape, “Regime Reloaded,” which appeared on such sites as Hype Magazine and Hip Hop Worldwide in late 2013 / early 2014. The single has been proudly released without support from the corporate music infrastructure. A booming, thumping hip-hop track steeped in the original sound born on America’s East Coast, “Wake Me Up” stands as an example of Izzy Cash’s powerful talent and promises that this urban poet has much more where this came from. Izzy Cash cites as main artistic influences Fabolous, 50 Cent, Jay-Z, Kanye West, Snoop Lion, the Notorious B.I.G., Tupac Shakur, and Nas. His own art bears similarities to his favorite legends, though of course the distinctive Izzy Cash sound remains the most striking feature of “Wake Me Up.” The single moves further from his work on “Regime Reloaded” while still carrying his momentum, making an upbeat and aggressive move towards Cash’s first full-length record. The rapper Izzy Cash was born on the island of Grenada in the Southeastern Caribbean, but has been based in New York City’s Brooklyn borough for some time. He has publicly mentioned that he has plans to release his debut LP album later in 2014. His lyric content generally revolves around topics such as women, work, hip hop, the pursuit of success, and loved ones passed on. His personal tenacity as an artist also appears frequently in his songs. It is his devotion to the art of hip hop which makes songs like “Wake Me Up” so remarkable. 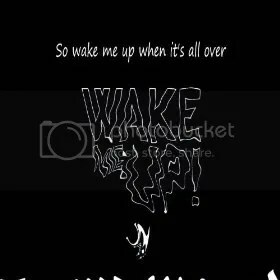 “Wake Me Up” by Izzy Cash is available online worldwide. The musician known as Elu has released his official debut music single, “Nine Holes and a Beer.” The track is a contemporary blues song with overtones of cool jazz, built on crisp and breezy guitar chords and classy, stylish vocals. The track has been proudly published and distributed as an independent title and features the vast talents of Erlend Krauser. A song which conveys not only feelings of warmth and contentment but also a deep appreciation of life’s most tranquil moments, “Nine Holes and a Beer” showcases Elu as a remarkable songwriter and nigh-flawless performer. Elu cites as main artistic influences Ween, Faith No More, and Frank Zappa, proving him to be a listener with a taste for wildly creative music with sharp edges. However, Elu’s own debut single, “Nine Holes and a Beer” has far more in common with legendary artists such as Chet Baker and John Pizzarelli. The vocals are smooth as silk, the guitar chords like the trickling of spring water over a stone riverbed. The effect is both calming and enchanting, intriguing and subtly complex. Fans of jazz and blues alike will agree on Elu’s first official release. The themes of “Nine Holes and a Beer” are bucolic, sunny and simple. “Nine Holes and a Beer” may represent Elu’s official debut, but the expert musician has been playing since the age of seven. That the Erlend Krauser appears prominently on “Nine Holes and a Beer” is no accident. 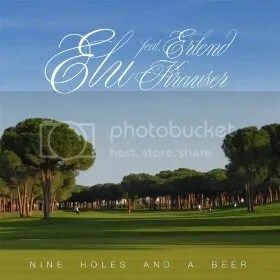 “Nine Holes and a Beer” by Elu and featuring Erlend Krauser is available online worldwide. Get in early. The singer and songwriter known as Jas Unique has released his latest R ‘n’ B single, “Emotional.” The track has been proudly released independent of support from corporate music companies. An upbeat, uplifting and lightheartedly romantic song with clear, clarion vocals atop a deep, thumping back beat, “Emotional” is a single that proves Jas Unique is more than just an up-and-coming talent. He’s a musician at the top of his rhythm-‘n’-blues game. Jas Unique cites as main artistic influences Anthony Hamilton, Chris Brown, and Urban Mystic. Unique’s own sound is a blend of these with a touch more of soul, a dash of blues, and a steady undercurrent of southern gospel music. This will not surprise longtime fans of Jas Unique, either, because his musical background has its roots in the thriving choir culture of the American South. Jas Unique (also variously stylized Jas’Unique) is the professional name of Jason Rashad Rogers of Amory, Mississippi. His crystalline style of singing was honed at the Gordon Chapel Church in Houlka, MS, where by the age of twelve he had performed with a music group, Unique Voices, on drums. In 2006 Jas Unique represented his church by performing solo in a church choir competition, and realized his passion for music upon accepting his trophy for third place. “Emotional” by Jas Unique is available online worldwide. 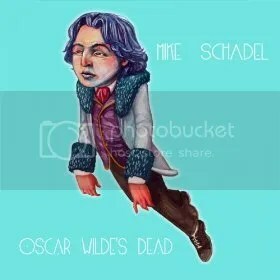 The singer and songwriter known as Mike Schadel has released his latest LP record, “Oscar Wilde Is Dead.” The album is comprised of 10 original tracks for an approximate total listening time of 40 minutes. It is his third studio album, preceded by his 2010 LP “Things Will Change,” and “So What. Who Cares. The End,” which appeared in 2007. A poppy, grooving record with an audiophile’s sensibilities and an indie heart, “Oscar Wilde Is Dead” stands as definitive proof that Mike Schadel deserves a place in every music lover’s record collection. His record exhibits many qualities of these without attributes which might signify derivation. The resulting sound is unequivocally his own – smooth and subtle in its acoustic overtones, yet aggressive in terms of lyrical potency and emotional impact. “Oscar Wilde Is Dead” is equally effective when played as pleasant background music or when listened to with the intensity of a music aficionado. Mike Schadel has been playing music since the age of eight, when Santa Claus brought him a keyboard. By 10 he had graduated to drums and vocals, which he managed simultaneously. 12 saw him playing in a garage band with friends from school. His early songwriting was populated with catchy melody lines and four-part harmonies (which harmonic experience forms much of the charm on “Oscar…”). In time he moved to Los Angeles and played many famous venues with an ever-changing lineup, finally settling into the solo project which has resulted in this new LP. Schadel has worked with the World Record, the Herbert Bail Orchestra, Eli Bolin, the Center Theater Group, and Joan Rivers. He also finds time to play in the Hereafter with his friend and fellow songwriter, John Elliot. “Oscar Wilde Is Dead” by Mike Schadel is available online worldwide. Get in early. The born-again rapper, singer and songwriter known as Harmini has released his long-awaited single, “If I Go Away.” The single has been heralded by vast amounts of media attention on national television networks such as CBS as well as by international hip-hop heroes such as 50 Cent. An extremely emotional, visceral music experience unlike what is commonly published by even the most excellent hip-hop studios today, “If I Go Away” stands to put Harmini on mountaintops where he can preach his Christian message to listeners around the world. New-York-raised Harmini cites as main artistic influences Boys II Men, Jagged Edge, Eminem, N-Sync, DMX, Backstreet boys, Nas, Michael Jackson and Garth Brooks, “to name a few.” His style is perhaps best described as having attributes of Eminem and DMX, bolstered by harmonies not unlike those of Boys II Men, and bearing certain flairs of Michael Jackson which polish his sound to a high shine. The remarkable quality of “If I Go Away” aside, however, its main draw is its shocking, brute-force, bone-deep earnestness and autobiographical nature. Before the age of 21, Harmini had been the victim of sexual abuse and hospitalized for drug overdoses and suicide attempts more than a dozen times. He had been dealing narcotics for more than a decade. He had been on probation four times as a teenager before finally finding himself in jail, then prison. Two weeks before his scheduled release from the penitentiary, his mother passed away from lung cancer. 2005 saw Harmini’s accepting of Jesus Christ, whose gospel he has been speaking, singing and living ever since. “If I Go Away” represents the sonic culmination of his spiritual and social redemption. Dallas police officers appear in Harmini’s “If I Go Away” video in uniform, which has resulted in an official investigation of the DPD and more than a little uproar. The music of “If I Go Away” stands tall, even amid so much personal and social tumult. Harmini’s passion is palpable. His story, unforgettable. 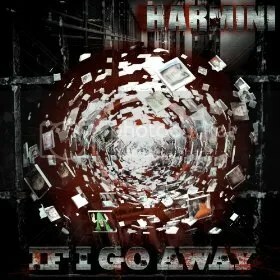 “If I Go Away” by Harmini is available online worldwide. Be sure to see the trailer for his upcoming official video (link provided below).